PUEBLO - Hot off a weekend during which it earned numerous awards at the Competencia Folklórica de Tejas in Corpus Christi, Texas, the Ballet Folklorico troupe at Colorado State University-Pueblo will perform next week at the Sangre de Christo Arts and Conference Center. The performance will begin at 7 p.m. on Thursday, April 23. Tickets to the event are $5 per person and are available at the door on the day of the event or in advance at the Sangre de Cristo box office. In addition, CSU-Pueblo Ballet Folklorico was represented in the duet category by Melissa Ramos and Francisco Soto, and Marisa Beltrán and Joseph Gutiérrez, who took 2nd and 3rd place respectively. In addition to the regular divisions, CSU-Pueblo Ballet Folklorico won "The Best of the Best" trophy, an award given to the group with the highest scores in the University division. 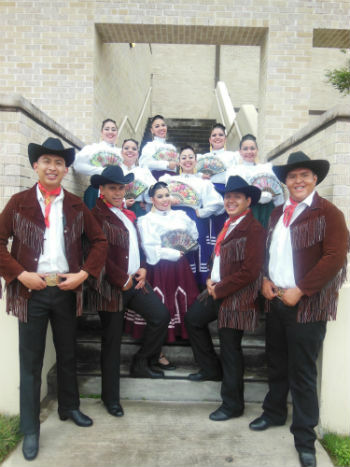 Hosted at Del Mar College and Performance Hall, Corpus Christi, Tex., the competition was sponsored by the prestigious Association of National Folkloric Groups. Ballet Folklorico preserves and promotes diversity at CSU-Pueblo through cultural awareness; specifically through performances, presentations, and programming of Mexican Folklore Dance and to provide opportunities for association and interaction with the campus community and the Pueblo community at large.